Recently we reported about the upcoming Oppo Reno smartphone from the Chinese smartphone vendor Oppo. 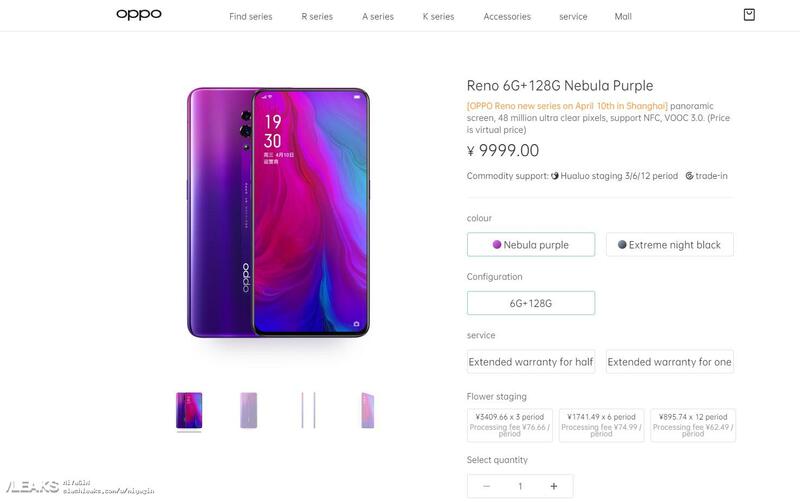 Now the standard variant of Oppo Reno smartphone is listed online with some major specifications and features. The listing also reveals us prices for different variants.